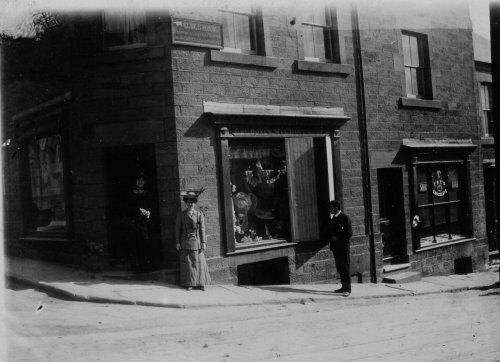 This Milliner's shop was occupied by William and Eva DOXEY around 1890 (see 1901 Census). William was Clerk of the Works in nearby Smedley's Hydro, was the author's GGFather, and had 5 children by 2 wives. The drawings are taken from his sketchbook, showing his draughting skills. G.W.SHAW. Plumber, Glazier, Painter, Hot Water Fitter, Paper Hanger.